A worksheet for teachers and students who wish to practise PRESENT SUBJUNCTIVE MOOD. The above printable, downloadable handout is a great resource for high school students and adults at Intermediate (B1) and Upper-intermediate (B2) level. 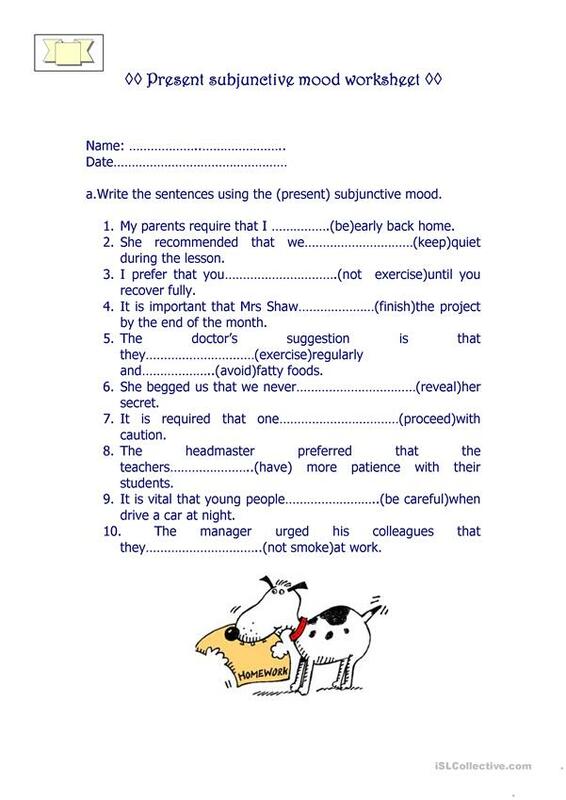 It is aimed at teaching Subjunctive mood in English, and can be used for honing your learners' Writing skills.